Typing up this post has me like WHAT?! How are we in 2018?! I mean....I it was JUST Y2K, right? 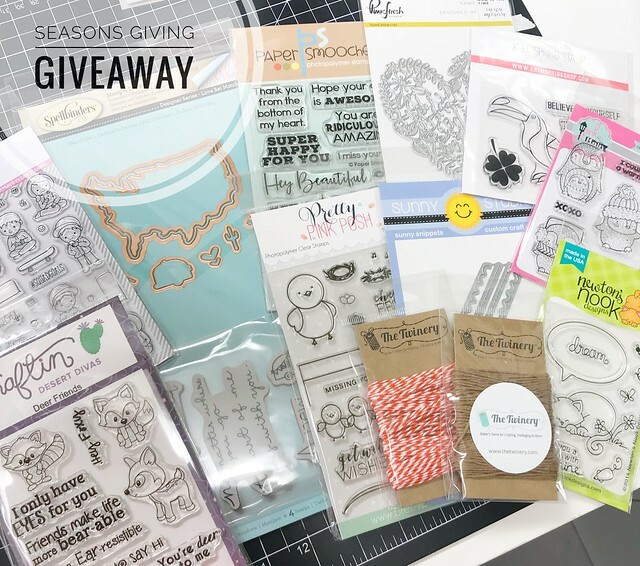 So I am stopping in here to say Happy New Year to all my crafty friends, sharing my top 10 favorite cards of 2017 and doing a giveaway for the Seasons Giving Blog Hop. ...and next up a Giveaway! I have had this little ole blog since 2007 so this year has marked 10 whole years of blogging. The absolute best thing that has come out of all 10 years? All the crafty friends! I've been blessed to meet so many online and in person. Thank you for stopping in and hanging out with me for so many years! I have a little pile of stamps that I have been blessed with this year but several of them are duplicates, so I want to share them with you! Leave a comment on this post by January 5th at 11:59am CST. I will announce a winner soon after. Thanks so much for stopping in today! Hope you have an amazing 2018! 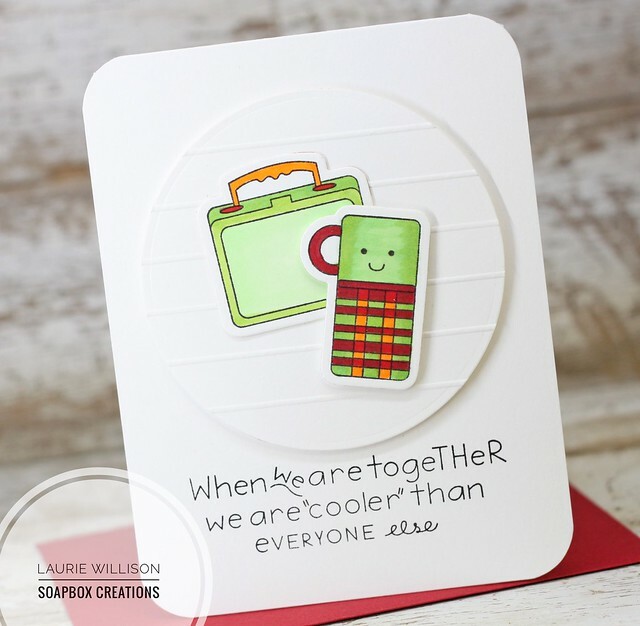 Have you seen this new background stamp? Next, I scored 1/2" score lines along the kraft card panel. I used my Prismas and added a little color to the hearts and leaves. Last, I die cut the "love you" out of glitter cardstock and popped it up on fun foam. 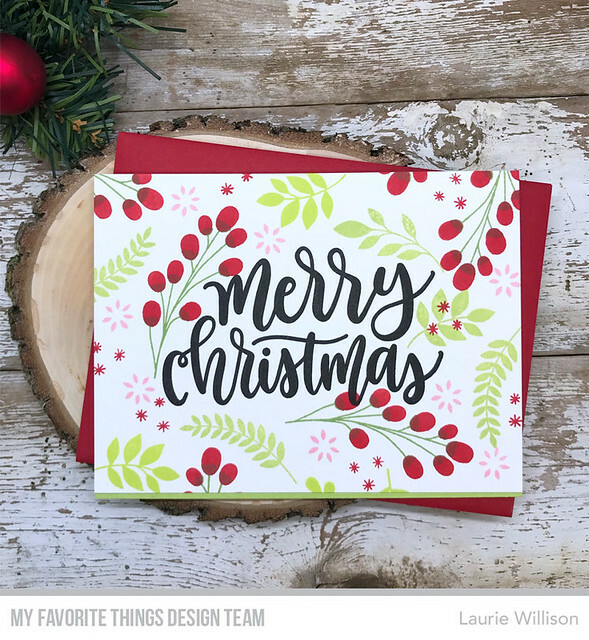 I added Glossy Accents to the glitter cardstock and to the little red dots on the card front. I love that stuff. So good for a little shine! So that is it for today. I have some other things in the works so I will be back soon. Thanks so much for stopping in today! Hey there! 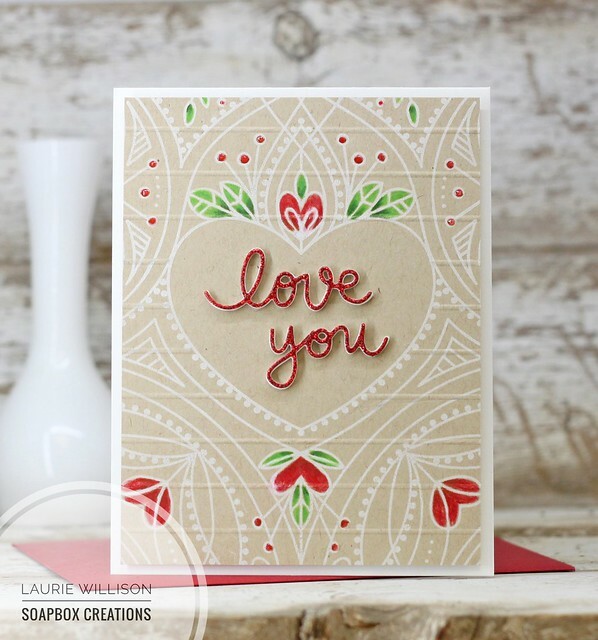 I'm stopping in today with a couple more projects using the Love Set Match Collection by Debi Adams over at Spellbinders. I love her adorable little images and big unique sentiments. 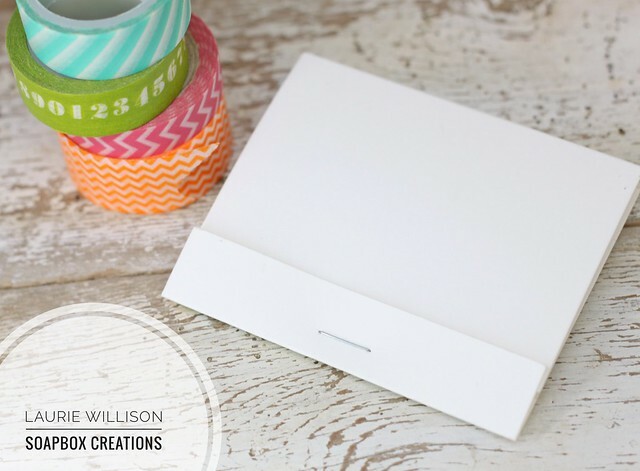 I created a simple card base by adding the sentiment along the bottom and then rounding each of the corners with my Corner Chomper. 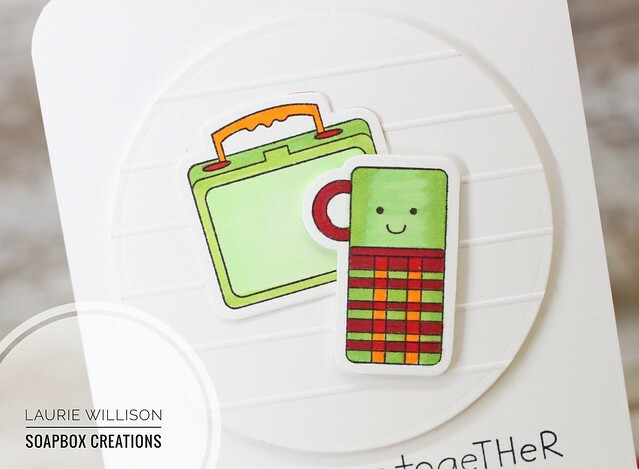 I die cut and colored the lunch box and thermos using Copic Markers and then added them to a scored, circle die cut. I popped the circle up on foam tape and then attached that to the card. These fun little images make for the best clean and simple cards! 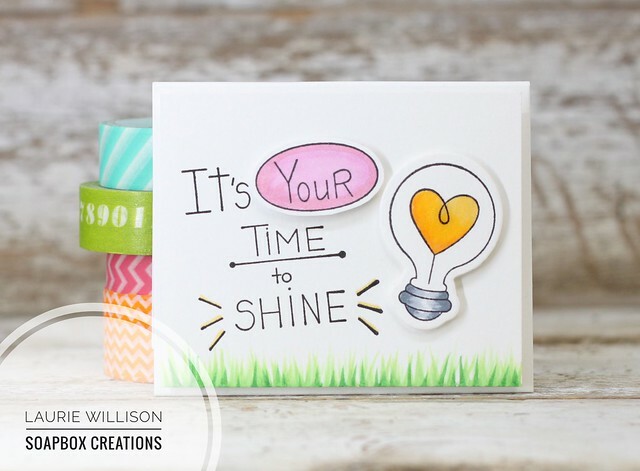 First, created a front panel for the match book but stamping the sentiment on the panel, adding in some Copic grass along the bottom and then die cutting and coloring up that adorable light bulb. I added a coat of glossy accents to the heart on the light bulb for a little shine. The Love Set Match Collection is so much fun! You can go check it all out by clicking HERE. I'm so glad you stopped in today! Thanks so much for coming by. Have a great day! 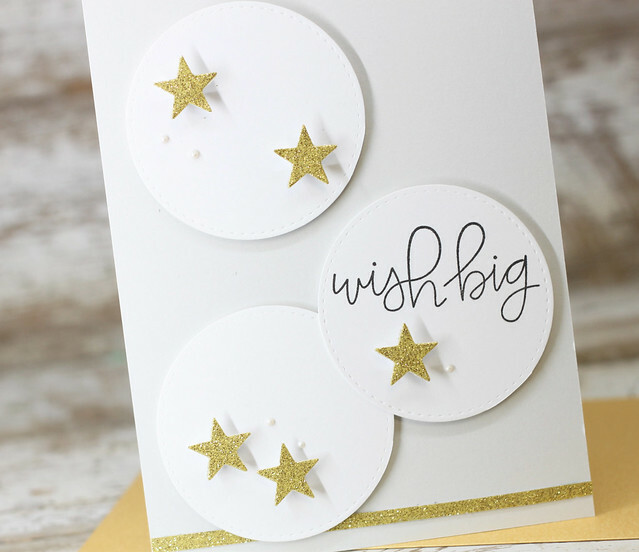 This months MFT Creative Construction with Blueprints Challenge is all about stars. Are you new to MFT? Each month My Favorite Things issues a new challenge where the Design Team creates projects based on their fabulous Blueprints. Click HERE to check out the Blueprint dies. These are sets of dies with many elements included that will help you create a fun card. There are even pdf's available with sketches to get you started. I used the stitched circle tag to create the three main elements. I trimmed off the tag top, just so I could use the circle. I stamped a sentiment on one of them and then popped them all up on foam tape. Next, I die cut the stars using the MFT Glitter paper....which is absolutely fabulous by the way...and then popped them up on foam tape. That little star die is included in Tag Builder Blueprints 4 and adds such a fun detail. Last, I added in one little strip of glitter paper along the bottom and finished the card off with a few Nuvo Crystal Drops. The MFT Blog will have more details on this monthly Blueprints challenge. You will also be able to see several other blueprint cards from other design team members. So glad you stopped in today. I hope you have a great Thursday! Hello there! I'm here stopping in with a clean and simple card today. 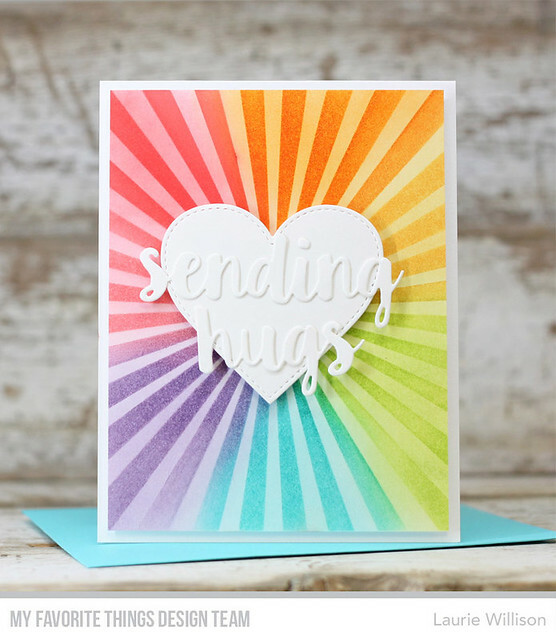 I have been playing with Debi Adams Designer Series from Spellbinders called Love Set Match. 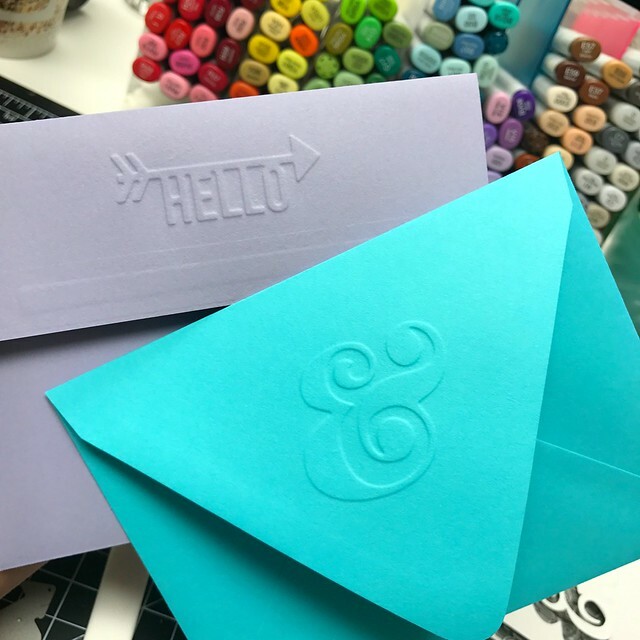 These stamps and dies are so much fun to use and make the most unique cards and gifts. I love the bold images and the big sentiments with all the different fonts. 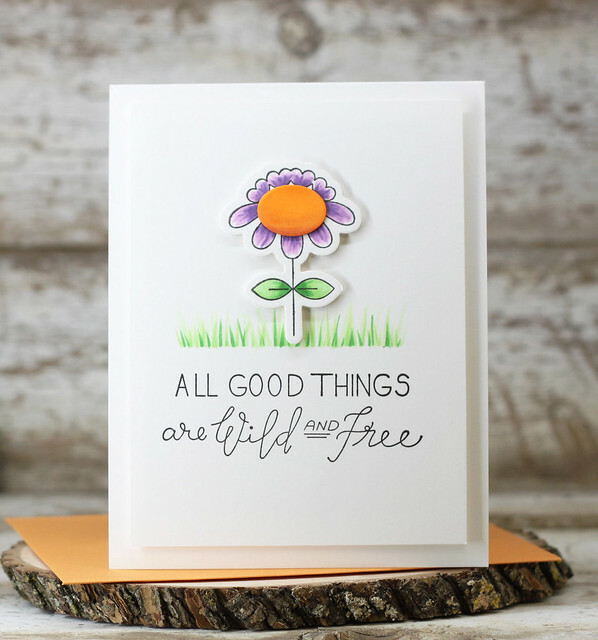 I am generally a clean and simple stamper so I do love lots of white space. 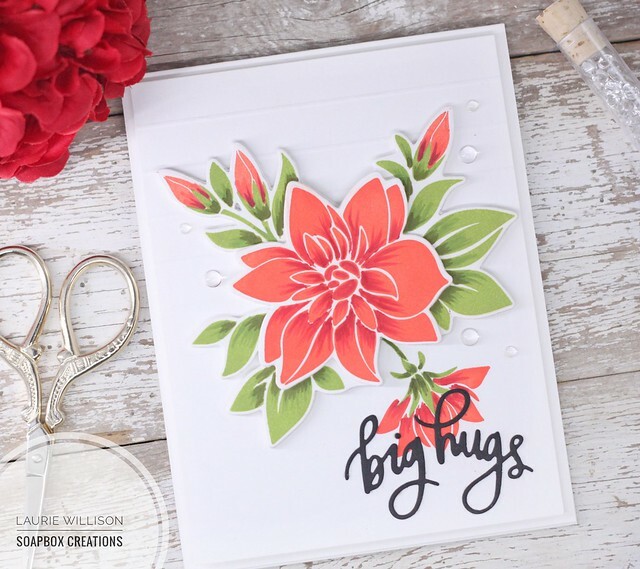 I knew when I saw this set called Beau-Ti-Ful, I had to use that single flower to add in pops of color on a bright white card base. 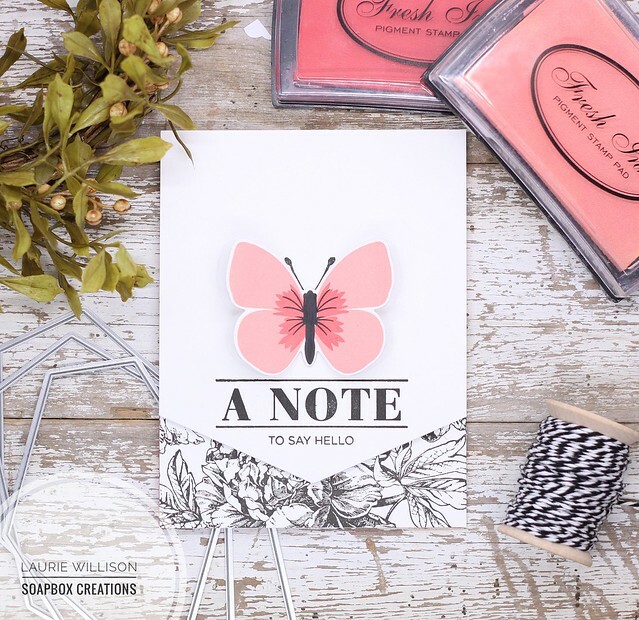 To create this card, I stamped the sentiment on the bottom of the card front panel. Next, I masked off a section just above the sentiment and did a little Copic "flicking" to create the grassy area. Such a fun technique to add some color to the card. 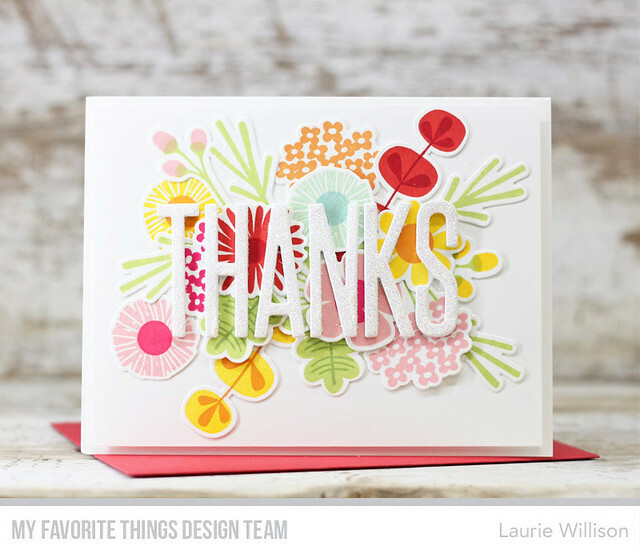 Next, I stamped, colored and die cut that adorable flower. The great thing about these Spellbinders dies, is that they are open so they can cut your image out perfectly! I popped that flower up on foam tape for a fun bit of dimension and then added the flower center on pop dots. To finish off the card, I popped the card front up on fun foam and then attached it to the white card base. 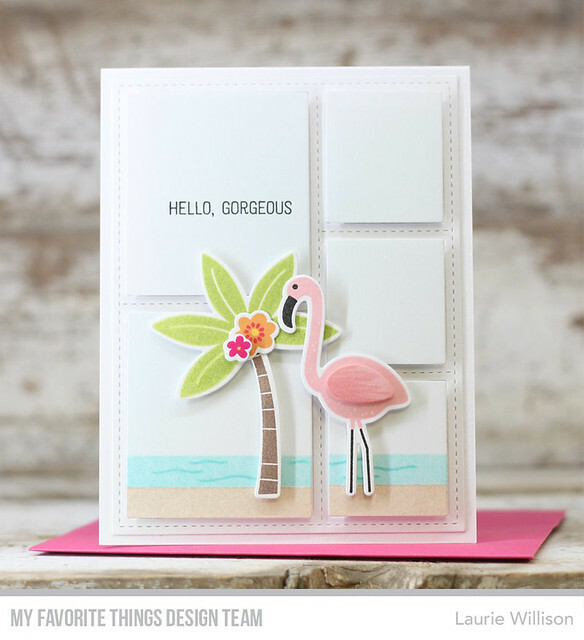 I will have another card to share using this fun collection, Love Set Match, later on in the month. I hope you will stop back in. Thanks so much for coming by today and have a great day! 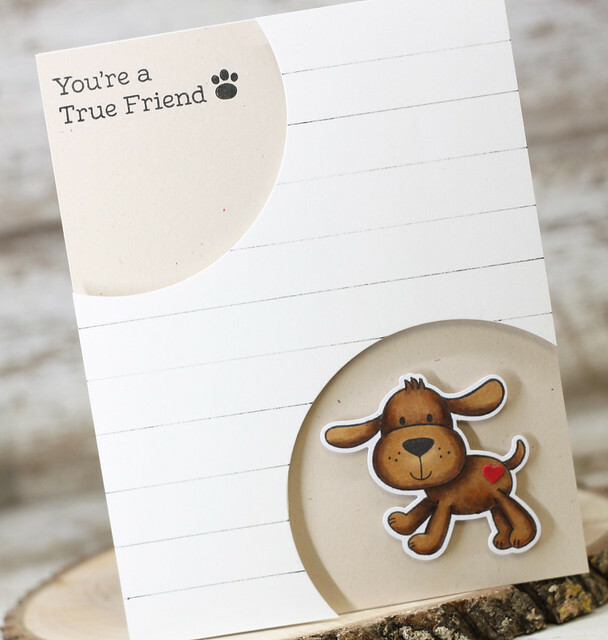 I stamped, colored and die cut that adorable pup. 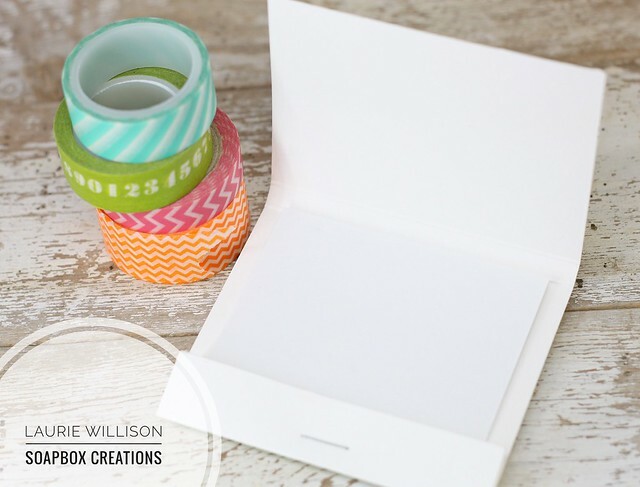 I used the Circle STAX to cut out the corners of the card front and then used a pen and ruler to add in some distressed stripes. I popped that up on a card base lined with Natural Card Stock. Love that color! Last, I stamped the sentiment and a little paw print up in the top circle. 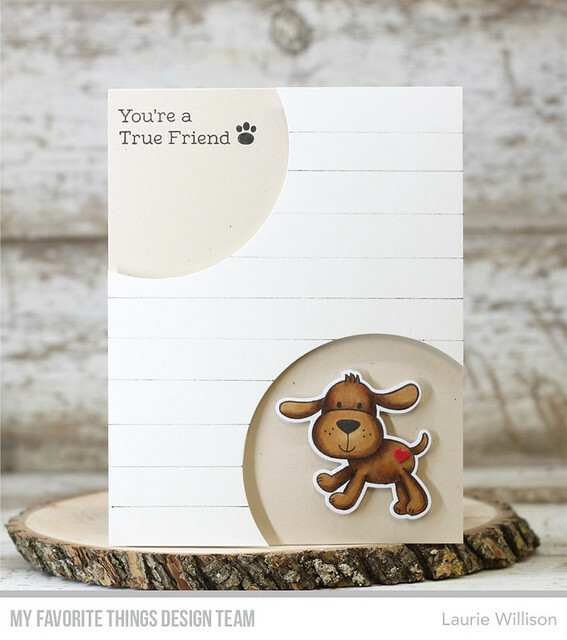 To add a tiny pop of color, I added a little die cut heart to the puppy. 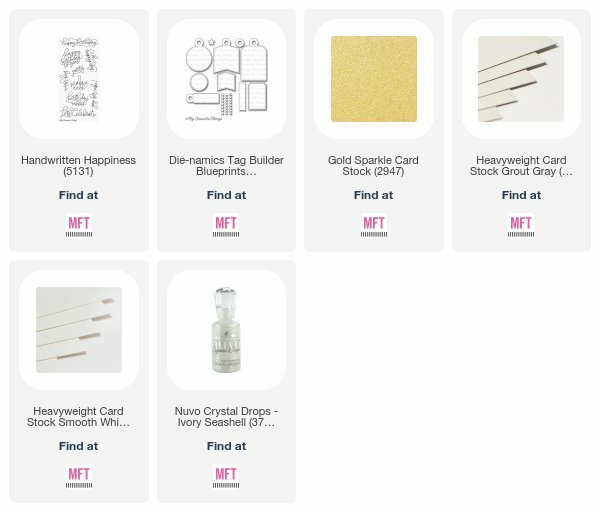 Head on over to the MFT shop and grab up one of these kits for yourself! So glad you stopped in today. Hope you have a great day! Hey friends! It's day 2 of the December Card Kit for My Favorite Things. 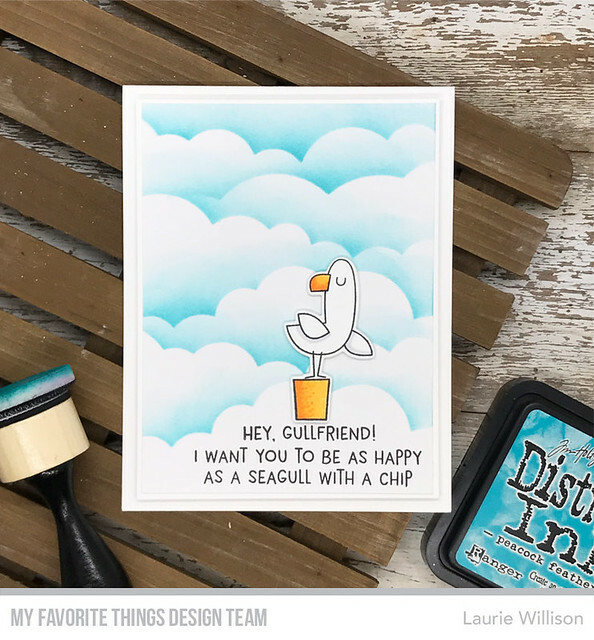 This is a monthly kit that is available each month with the most adorable stamps, dies and paper. 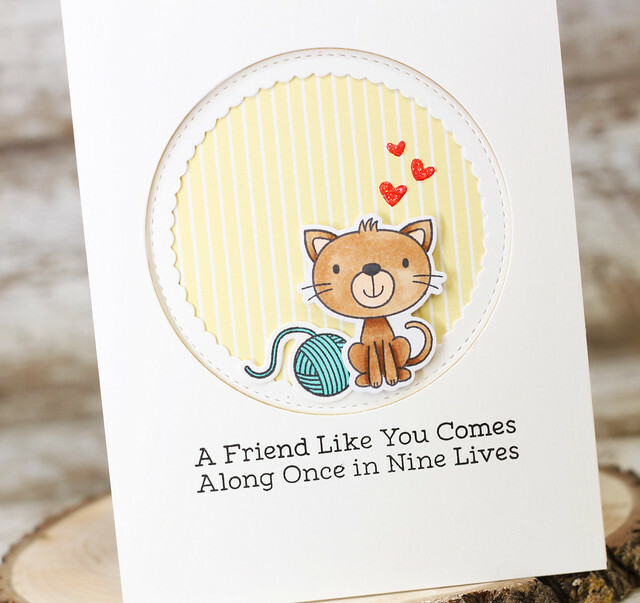 The kit is called Furever Friends and I have another sneak peek today. 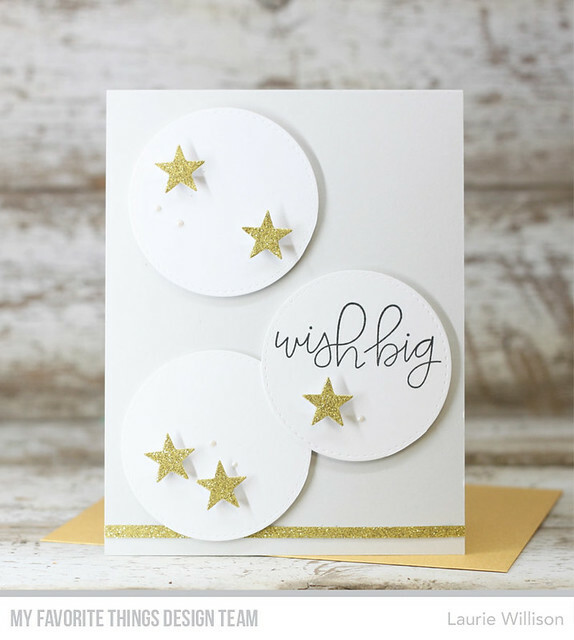 To create this card, I used the Stitched Scalloped Circle Frame to cut the center out of the card front. 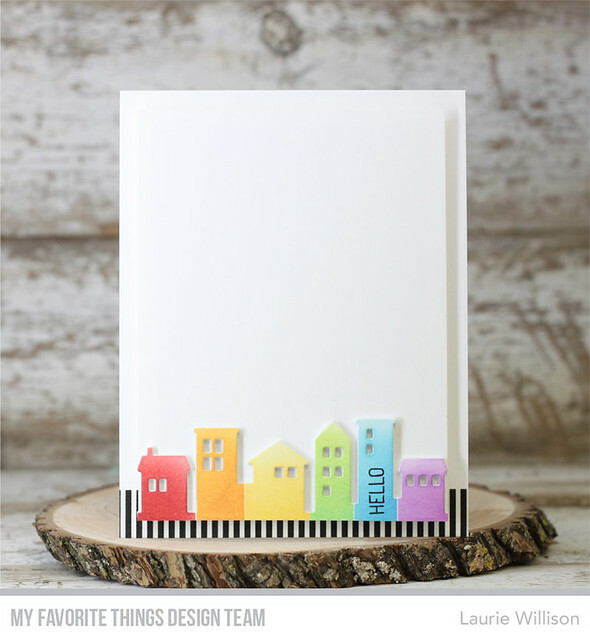 I popped up the framed piece on foam tape to the card base after lining it with this adorable piece of stripped paper from the Pastel Pinstripes paper pack. The die cut frame fits perfectly back into place but I attached it to the card base to give a little look of dimension. 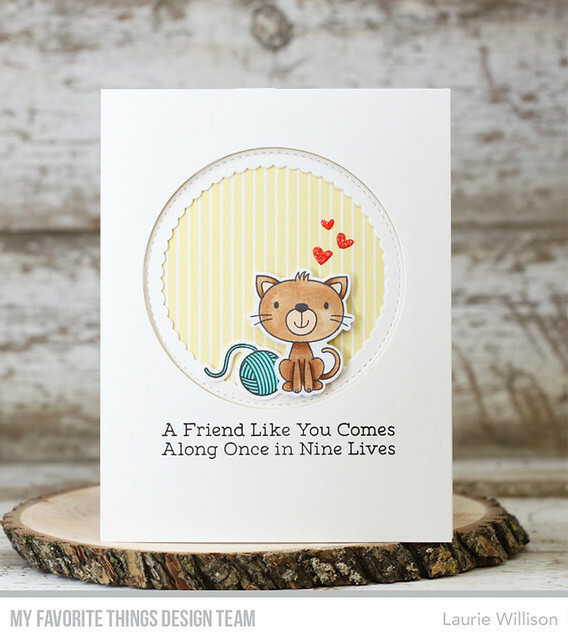 I stamped the sentiment and then added in that adorable little kitty to the card front. 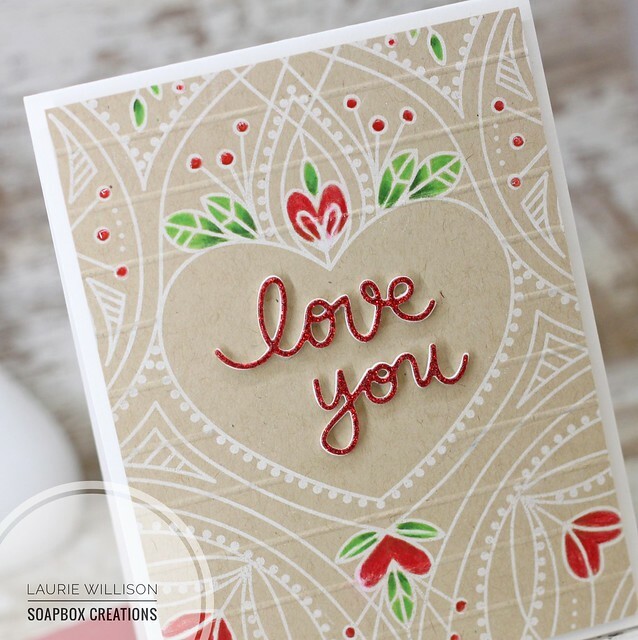 I used the hearts from Coffee Date and the ball of yarn from I Knead You (not included in the kit) to add a few more details to the card. 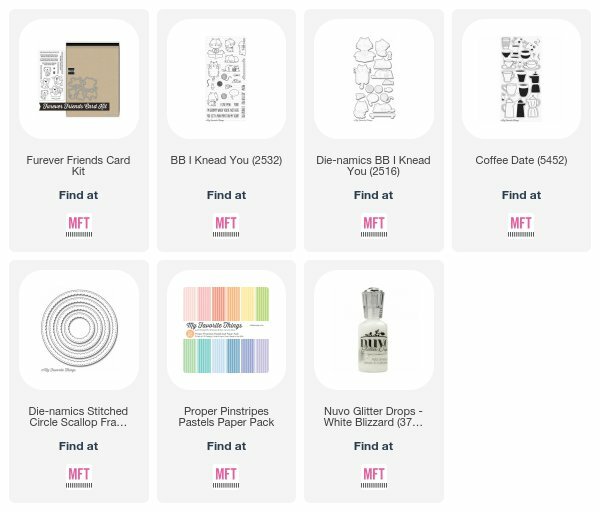 There will be lots more to see over on the MFT Blog. 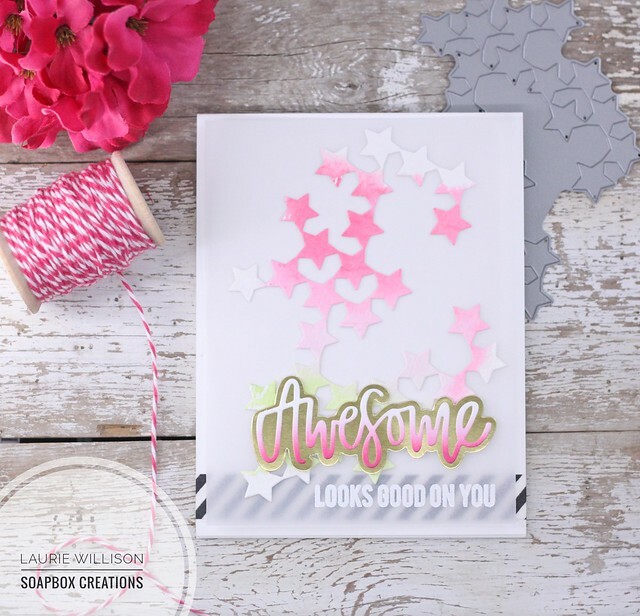 Check out the details about this months kit over there and get a list of links to check out to see the rest of the DT's creations. This kit will be available on Tuesday, December 19th at 8pm CST. Yay! Clean and Simples....Queen and Co.